Bethanie Mattek-Sands suffered what could be a career threatening knee injury at Wimbledon. 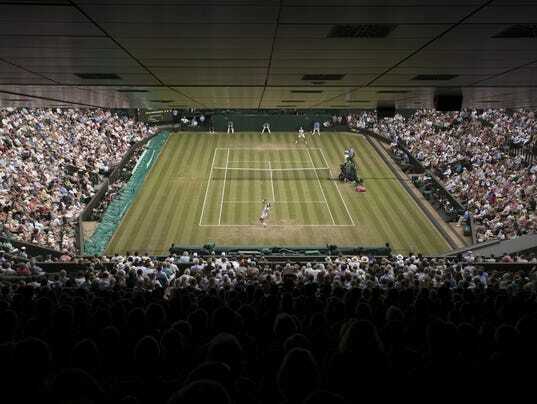 WIMBLEDON, England — Next up at Wimbledon is second Monday mania — the undeniable best ticket in tennis. Unlike the other three Grand Slam events, Wimbledon plays all fourth-round singles matches — men’s and women’s — on the first day of action in the second week of competition. Each year, that presents an smorgasbord of star-studded encounters for fans to watch. With names such as Roger Federer, Rafael Nadal, Novak Djokovic, Venus Williams, Angelique Kerber and Victoria Azarenka peppering Monday’s card, it’s only natural to anticipate high-quality competition.